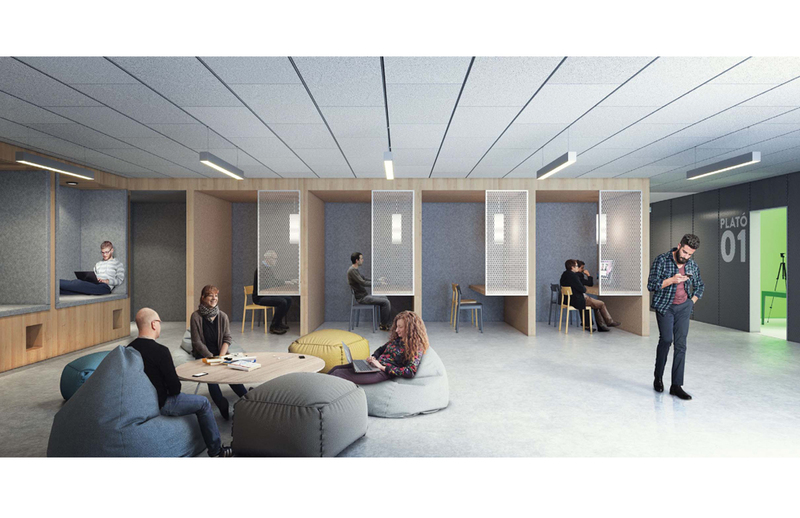 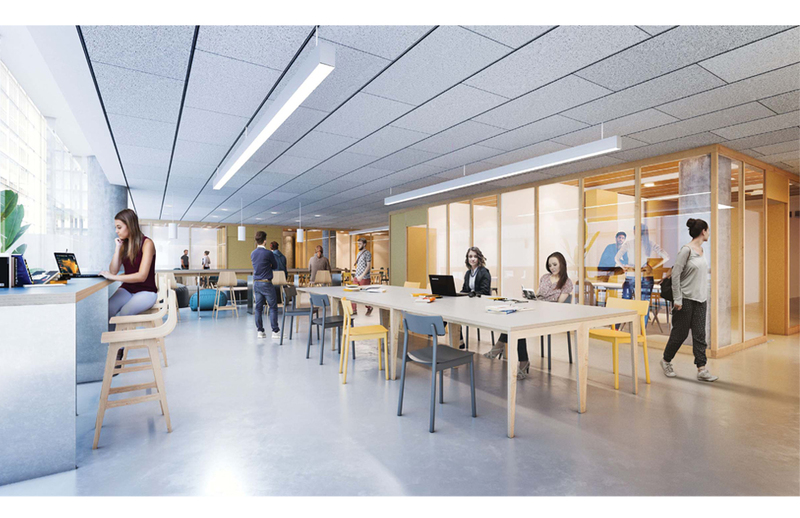 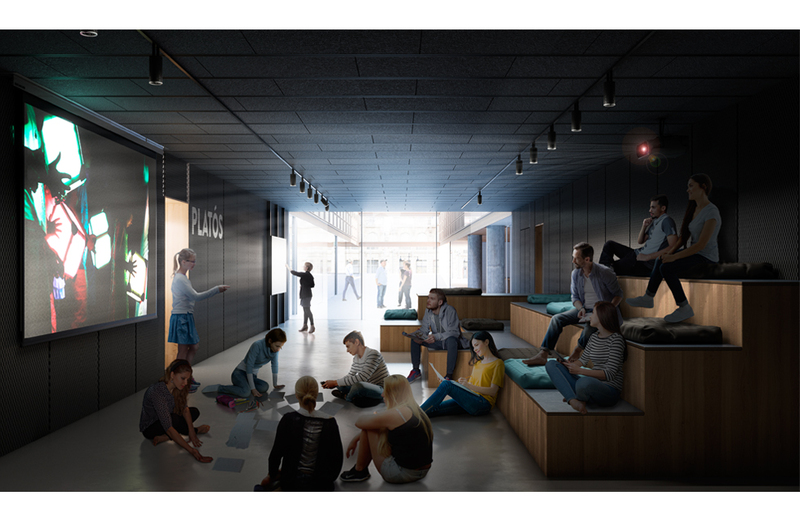 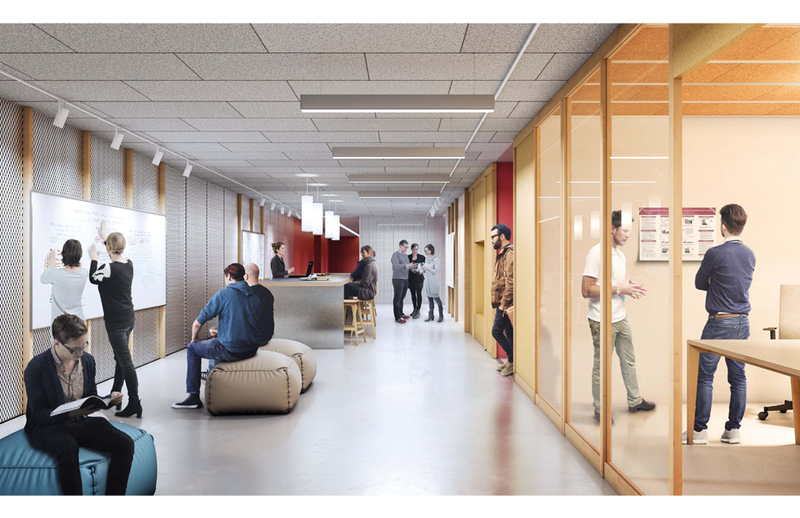 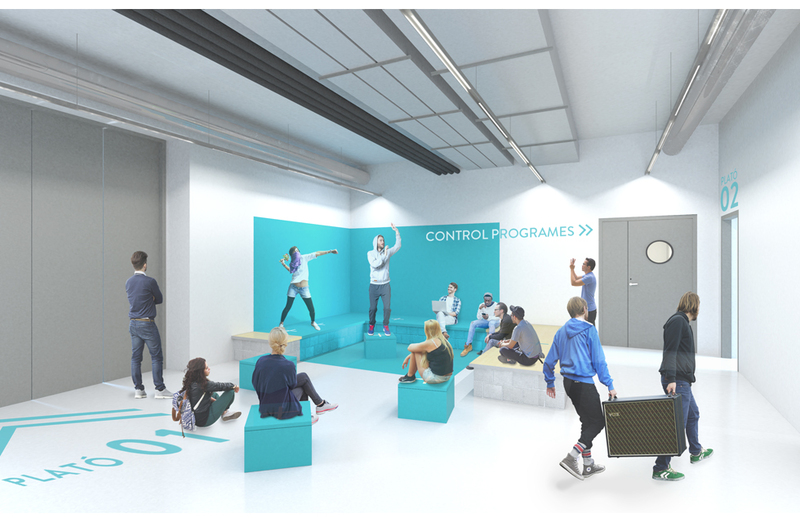 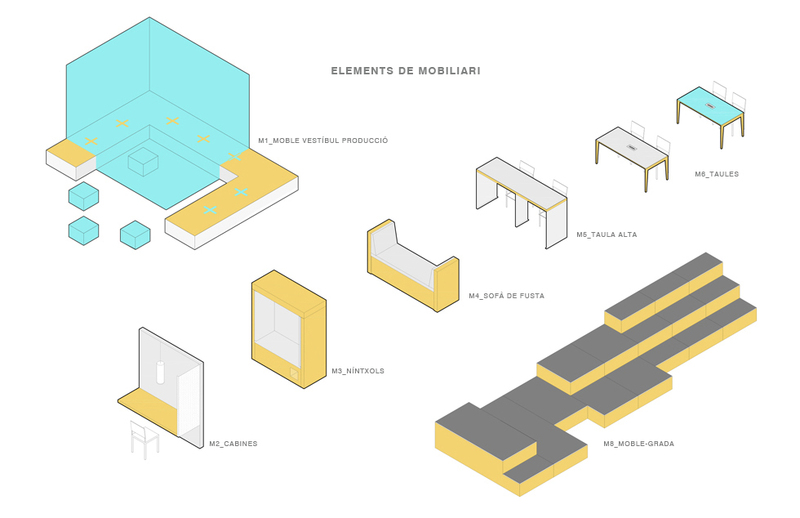 This project is the first intervention promoted by Pompeu Fabra University to adapt its spaces to the new educational model. 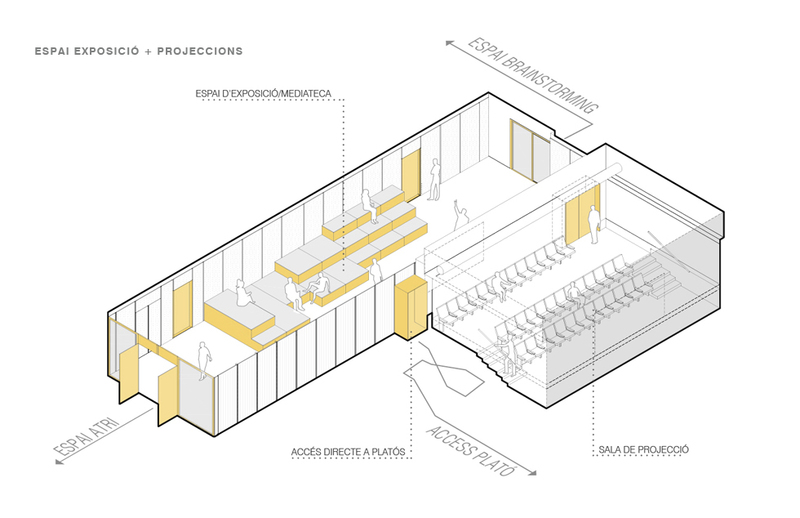 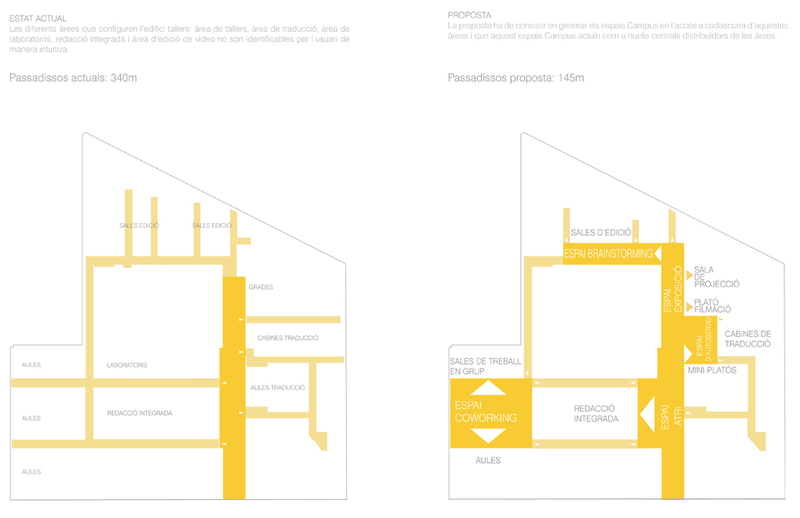 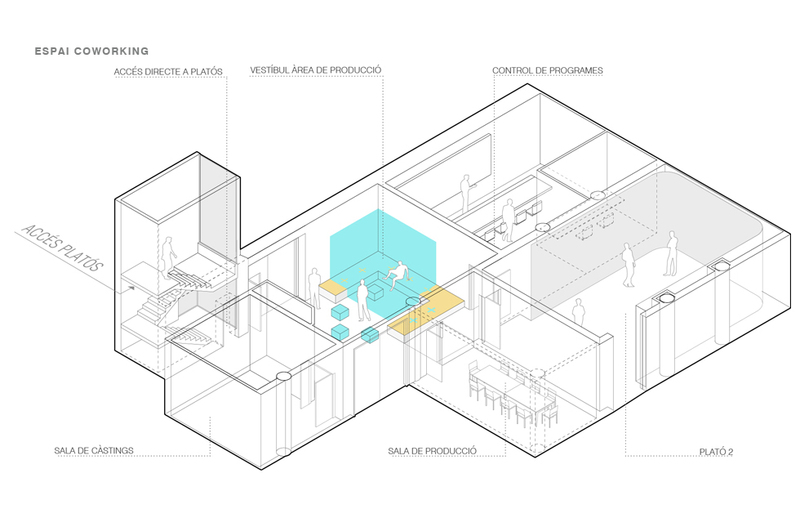 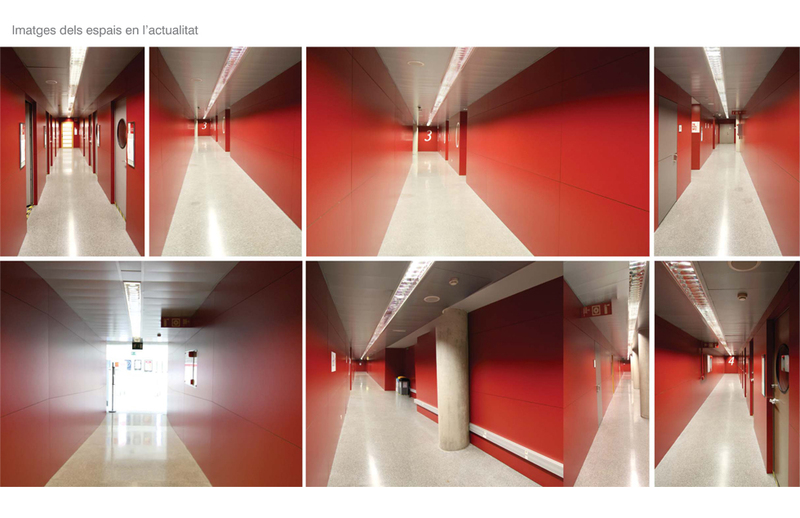 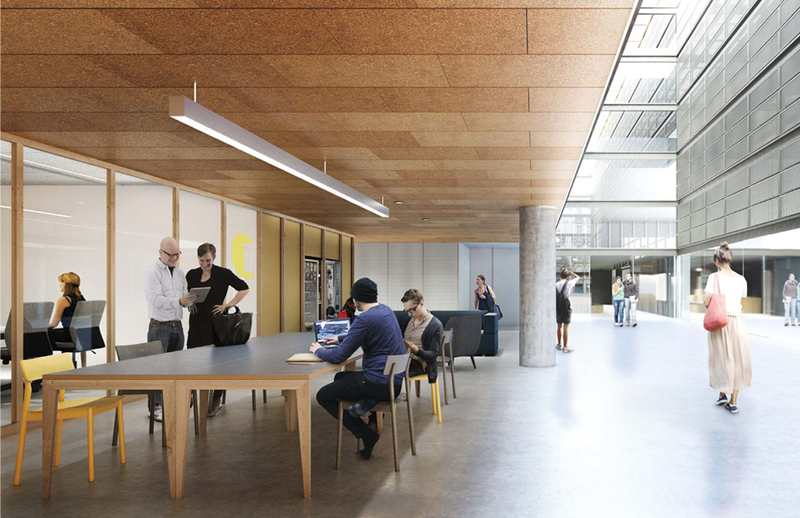 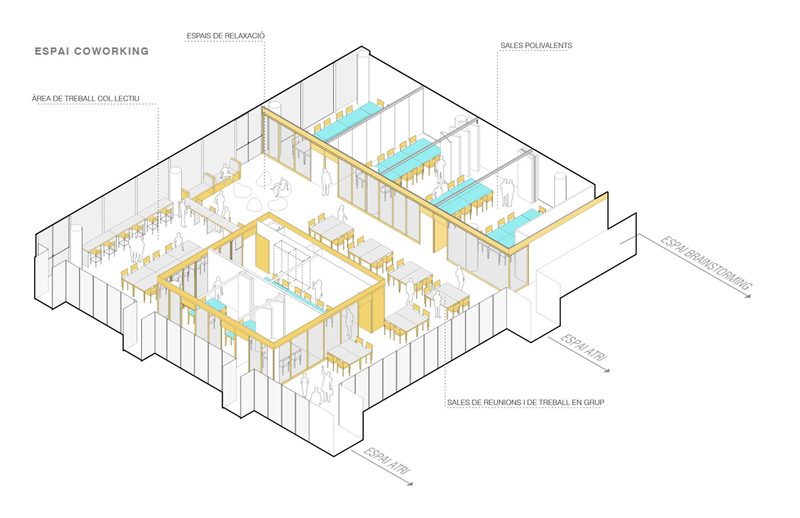 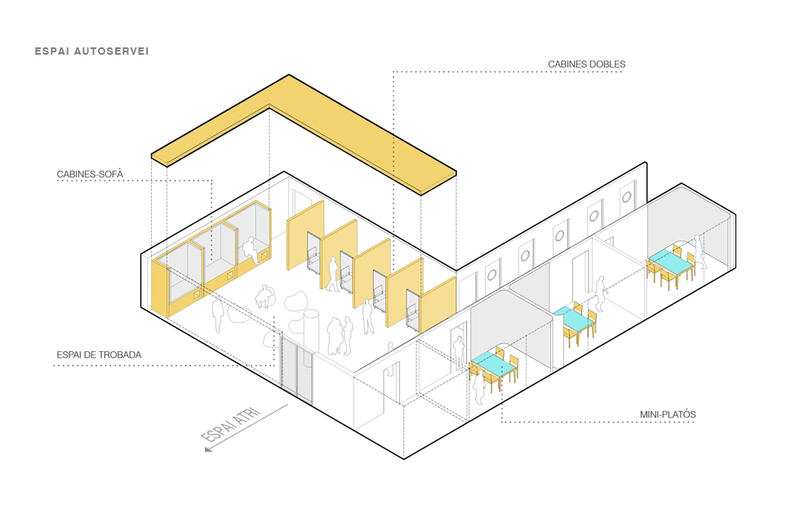 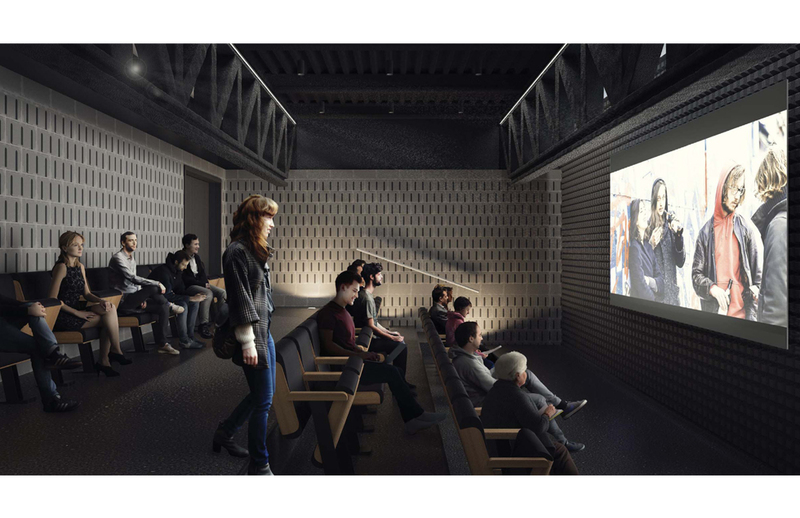 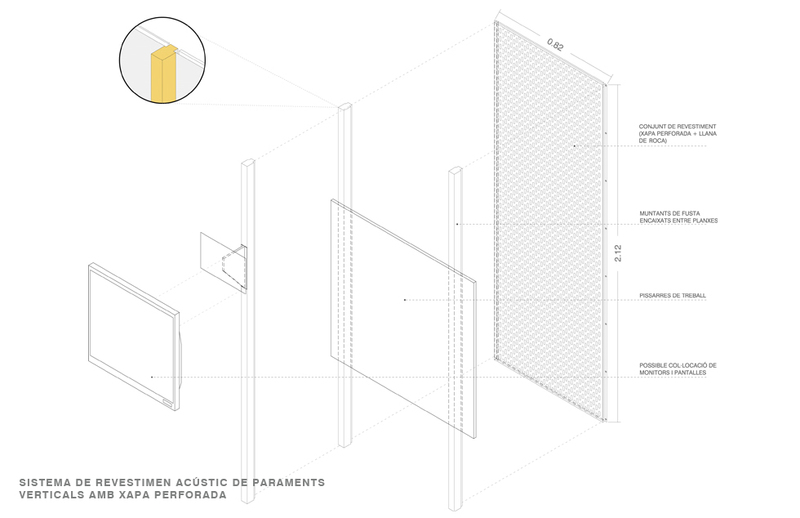 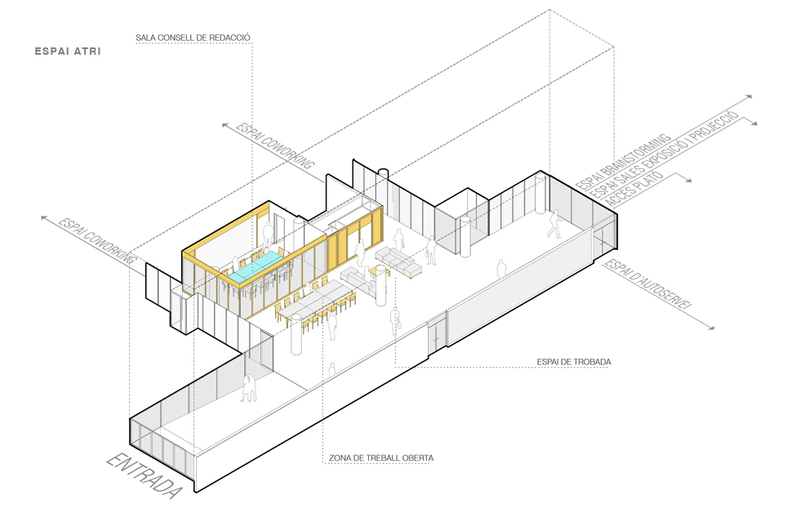 The Project raises a radical transformation of the workshop area of ​​the Poble Nou Campus through a partial and surgical rehabilitation of the building. 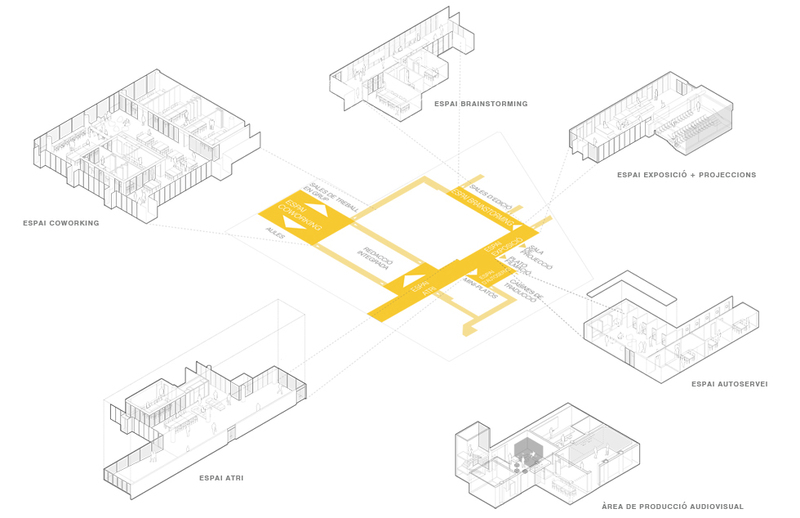 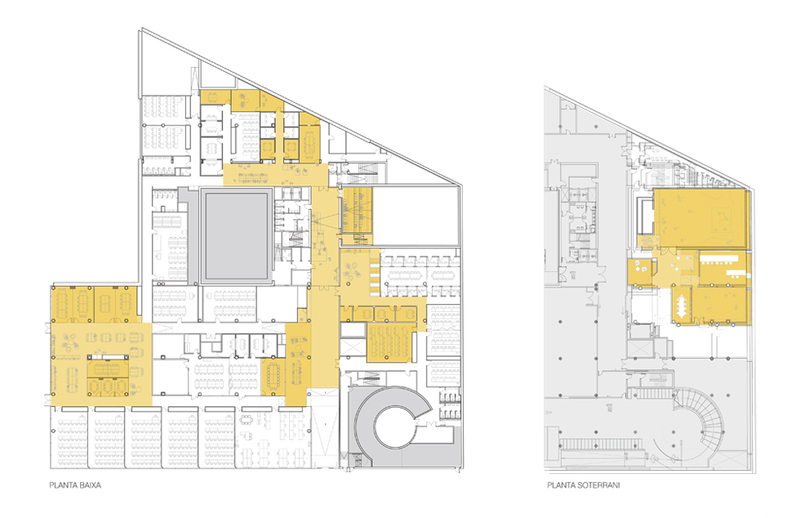 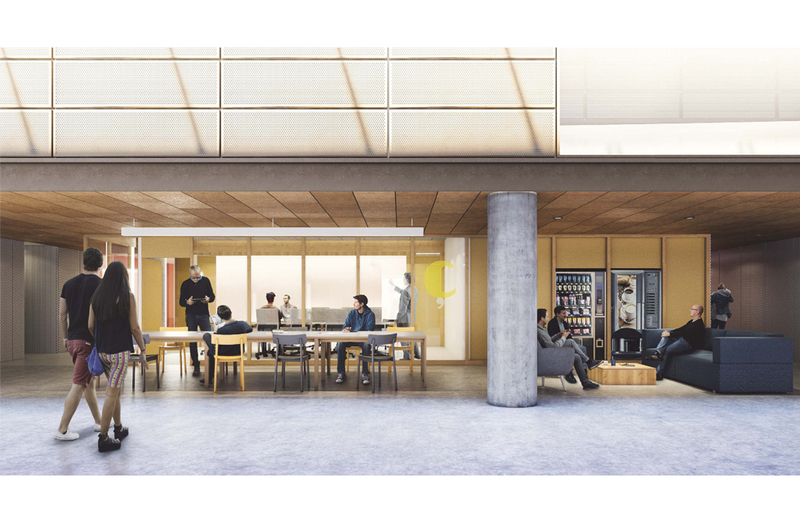 The proposal is articulated through six new spaces for relationship and interaction that transform the original regular grid structure by reducing the corridors lenght by 58%. 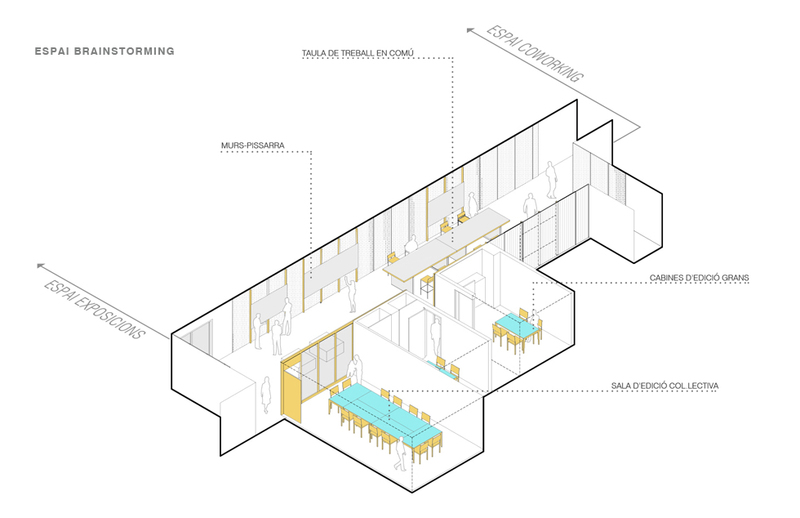 Each of these spaces incorporates new specific uses and is endowed with an identifiable and recognizable identity. 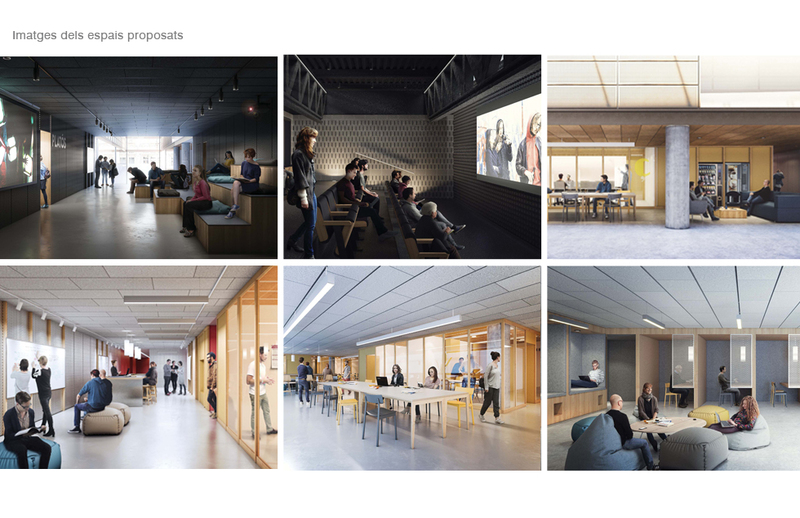 The new Area Workshops is an educational and knowledge generation space that embodies technological teaching needs and reflects the essential features of the educational modality of the UPF: a space made of spaces spaces, devoted to learning management and cultural production, where shared areas meet to enhance collaborative and intersectional work between teaching, research and business, and where educational dynamics go beyond formal education; a meeting point open to the campus and the neighborhood, and destined to be a nuclear space for both of them.